Here is the scientific basis for how radiation is killing the oceans and the bees. Seriously, I figured it out. 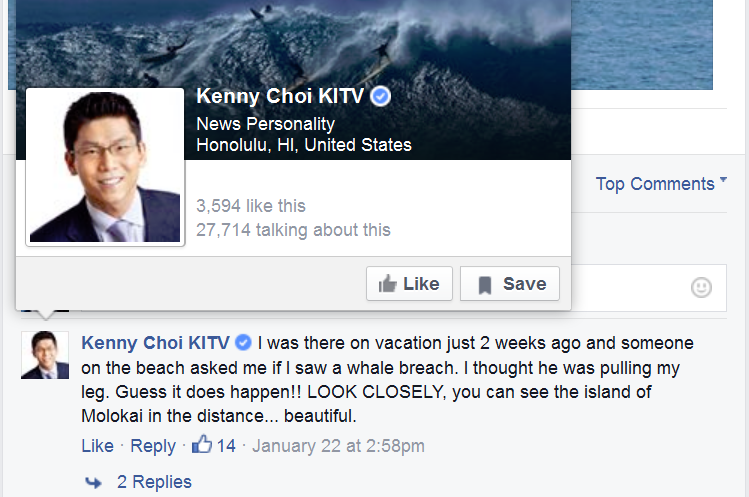 OK, further down is a video, labelled as a whale "singing". 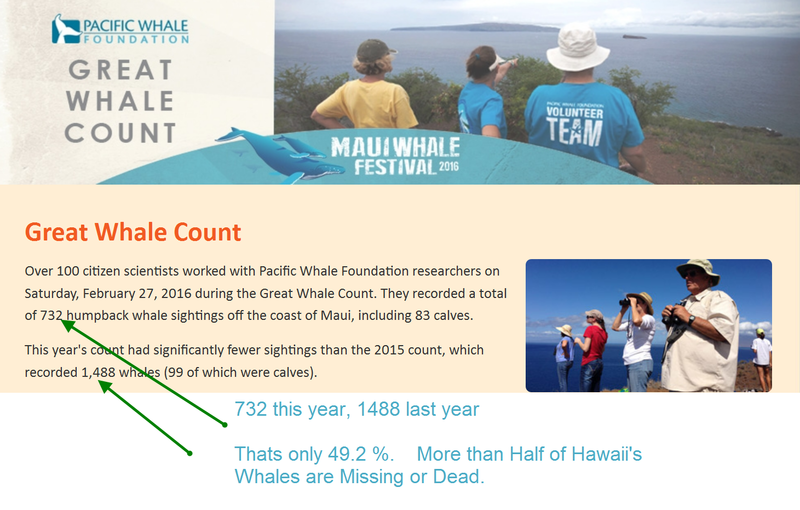 Dr. Goodheart said it best --"
AWOL means "Away Without Leave"
IN early January 2016 came a rash of new articles on how Hawaii's whales were "missing". 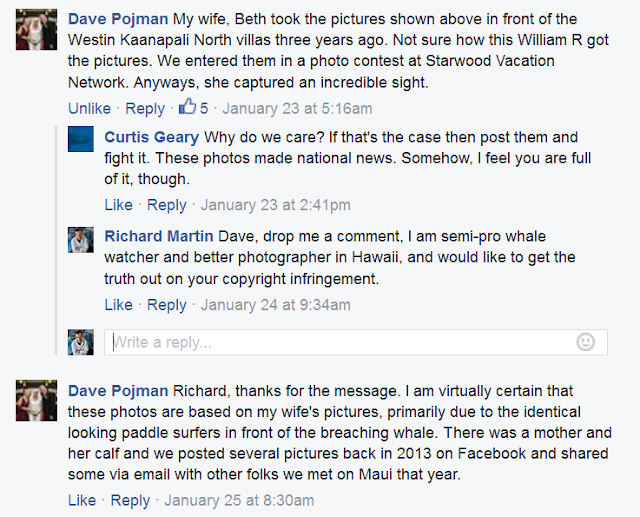 Then came a massive backlash "missing whale deniers". Without even a pretense of evidence, numerous stories came out about how the whales were not missing, just delayed. This site, which in years past had whale song live streamed, somehow without explanation, does not "have that luxury". Very odd. The Song Archive hyperlink on the main page, also did not work for me. One story used a picture from years earlier of a whale jumping by some stand up paddleboarders, and pretended that it had just happened this year. I sent numerous emails to the parties that were promoting that picture, asking for date, and a better resolution image I could use for an article. ZERO response. 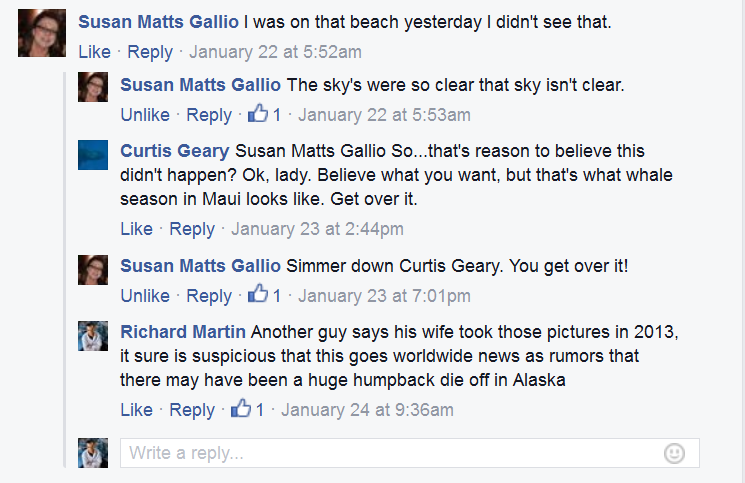 And then this strange comment from the TV reporter. 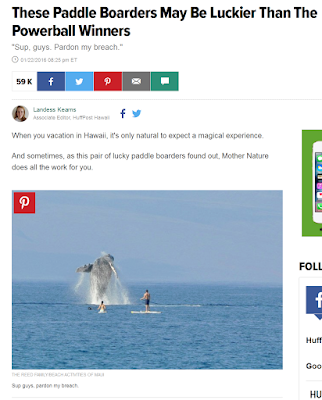 A local boy from Hawaii, and he is pretending that although he knew what the word breach meant, he was surprised that Whales in Hawaii did breach. Really?? Does that make any sense? stock here: Magical song? Sure in the past they were, hauntingly beautiful. 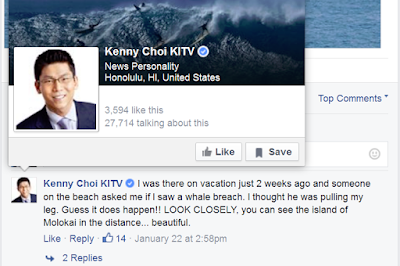 But this 2016 whale in the video seems more like it is bleeting, grunting, moaning. Please listen. Enjoy the audio track of this video, shot in February 2016 off of Makena, Maui. You can clearly hear the songs of humpback whales, which this year features more "blips" and "pings" than last. It's just data gathering. It's not science or even v&v. Do you think you can prove the unprovable? All you have is a theory and no real proof. Correlation isn't causation. Or is that a "lie" as well? The radiation doses have to be massive to have any effect. They are not and thus they dont. End of story. You can't use rat farm rationale. Hey idiot, if you are trying to prove the unprovable, whilst our earth dies in front of our eyes.....well I think that says about all there is to say about "nukist scientists". Hey "there is a light in the tunnel, it might be a train"
Nukist, "But you can't prove it so lets keep going further into the tunnel"
The doses of heavy metals im sure play a part, those and lack of food. No one is saying the whales died of radiation poisoning. They died of starvation, their food died from radiation induced immune problems, or chitin breakdown, or alot of things. But to display such disregard for dumping more heavy metal and radio decay products into the Pacific than has ever been dumped before is burying your head in the sand. Ya Geeraham, it is disappointing that our resident pHD troll is so weak in thought process, and that he thinks that he can get away with the simplistic "acute radiation death" lie. He could learn so much here, but the cartel training and the ego's need to feel that "I am a good person" blinds seemingly all our scientists, to what is obvious to free thinking individuals. Lol. The author of this site long maintains radiation in the ocean from Fukushim. It's a non starter. Just saying this does not make it true. Seeing an entire ocean roll over dead is astonishing.. But to see it happen Immediately after a trio of nuclear plants melts down and explodes into that ocean one can make a pretty good case that those meltdowns and explosions are at the root of the Pacific's problems right now. Acting the ninny and bleating "no It didn't" is not proving anything. Anyone with a brain that saw the explosion of reactor #3 can see that a substantial amount of debris was blown directly into the Pacific ocean. Plutonium is at the top of the poisonous substance chart for very good reasons... It is toxic to life. Saying "No it is not" is not proving it is not. Debunking is a fools game and only fools like Loosey goosey here play it so poorly. The whale population is supposed to be peaking now. I spent an afternoon at Makwna beach and saw none. Last year at this time they were everywhere.